ARCS was established in 1982 as the Rainforest Conservation Society of Queensland. Following is a brief chronicle of the Society’s activities. The Wet Tropics: In 1984, ARCS was commissioned by the Australian Heritage Commission to prepare a report on the conservation values of the rainforests of North-East Queensland. After favourable reviews by a host of eminent international and national scientists, the report was published by the Commission and became the foundation for a campaign to protect the area. 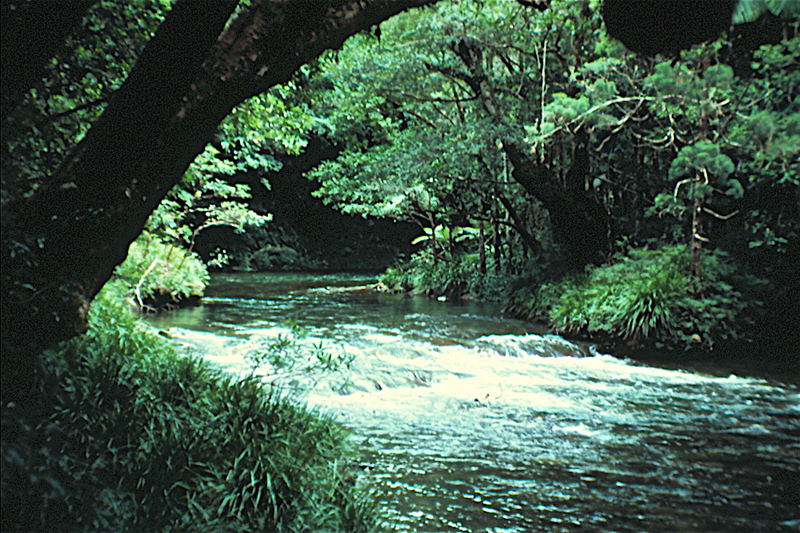 ARCS spearheaded the national campaign which lead to World Heritage Listing of 900,000 hectares of rainforest and other forests as the Wet Tropics of Queensland World Heritage Area in 1988. ARCS prepared the World Heritage nomination. The campaign also lead to an end to all logging in the area. Rainforest logging stopped: ARCS subsequently campaigned successfully against rainforest logging in other parts of Queensland (where the great majority of Australia’s rainforests occur). 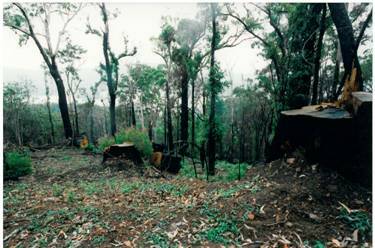 In 1994, the Queensland Government ceased all rainforest logging on public land in the State. 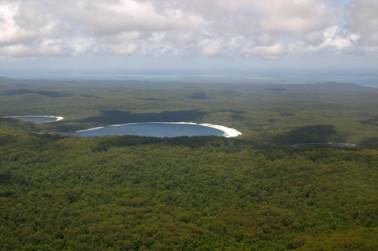 Fraser Island & Gondwana Rainforests: ARCS prepared the World Heritage nomination for Fraser Island, the largest sand island in the world as well as the nomination for Central Rainforest Reserves of Australia World Heritage area (now Gondwana Rainforests of Australia). South East Queensland Forests Agreement: In the late 90s, ARCS lead the negotiations that resulted in the historic and widely acclaimed South-East Queensland Forests Agreement (SEQFA) between the Queensland Government, the timber industry and conservation groups. The SEQFA lead to protection of 425,000 hectares of forest and a commitment to phase out all native forest logging on public land by 2024 and transition to a plantation-based industry. Statewide Forests Process: ARCS went on to extend the successful cooperative stakeholder approach to resolving logging and other issues associated with the remaining native forests in the state — the Statewide Forests Process. 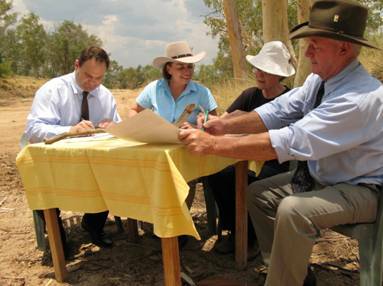 The Delbessie Agreement: In another co-operative, solution-based initiative, ARCS worked with the Queensland Government and the rural industry association, AgForce Queensland, to develop a Leasehold Land Strategy for the State. This culminated, in 2007, in the Delbessie Agreement that establishes new standards for management of leasehold land which covers more than 1 million square kilometres of Queensland. It also has the potential to produce major conservation gains. Springbrook Rescue: ARCS worked with the previous Queensland Government to assess conservation values of properties for sale at Springbrook. There was the potential to expand the World Heritage-listed national park and improve its boundary configuration, providing greater long-term security for its outstanding values. The result was a $40-million acquisition program that will significantly improve the chances of long-term survival of the World Heritage values of the area. The majority of these lands are now in National Park or National Park (Recovery). ARCS has undertaken responsibility for restoration of areas of cleared land on the purchased properties — the Springbrook Rescue Project. Queensland Biodiversity Strategy: ARCS recently worked with the Queensland Government and other conservation groups to develop a Queensland Biodiversity Strategy associated with the International Year of Biodiversity. ARCS prepared comprehensive “Principles and Guidelines towards development of a Queensland Biodiversity Strategy: A Working Document” which is available on the ‘Publications’ page. The Strategy was launched in 2011.